See how one software company uses analytics to streamline sales operations. Black Duck Software helps some of the world’s most innovative companies streamline, safeguard, and manage their use of open source software. 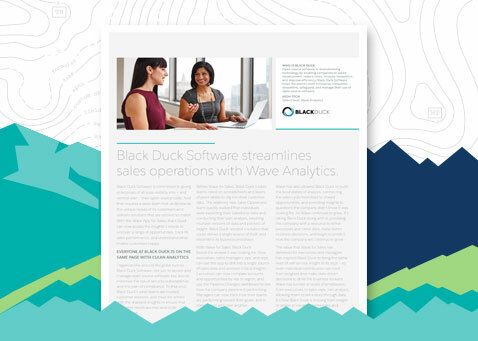 Download this case study and find out how why Black Duck moved from Excel spreadsheets to Wave Analytics to manage its sales operations. See how Wave is helping the company’s sales reps create the kind of self-service insights that enable smarter, data-driven decisions.